Are Electric Buses the Future of Transportation? Electric vehicles seem to be a part of the future, but the truth is, they have been a significant part of transportation history and continue to shape how people travel. With major car companies creating different models of electric cars– like the show-stopping Tesla, or the Nissan Leaf that offers extraordinary value to consumers– EVs, or electric vehicles, will one day reign over transportation. Electric vehicles have a long history with much progression, but they still have a long way to go before they are fully accepted as the main method of transportation. But what if electric buses could be the technology we need to help flip the switch? Keep reading to find out how much electric vehicles have changed over the years and how electric buses could transform the transportation industry. Where Did Electric Vehicles Come From? 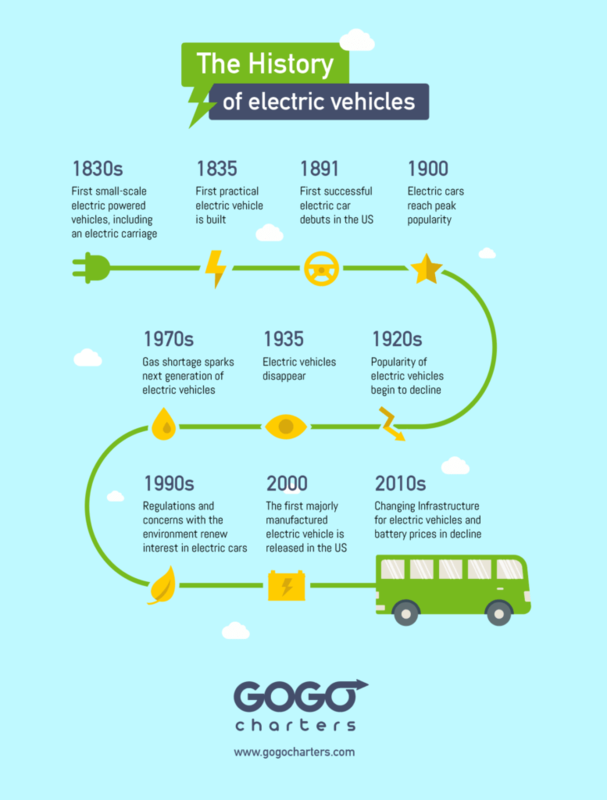 Did you know that electric vehicles have been around since the 19th century? It all started in the early 1800s in Hungary, the Netherlands, and the U.S. when researchers began exploring the idea of battery-powered vehicles. There had already been movement with an electric carriage, a horseless carriage that was powered by an electric motor. But, as people wanted to get around more easily and quickly, cars seemed like a more reasonable and faster alternative to horse-drawn carriages. 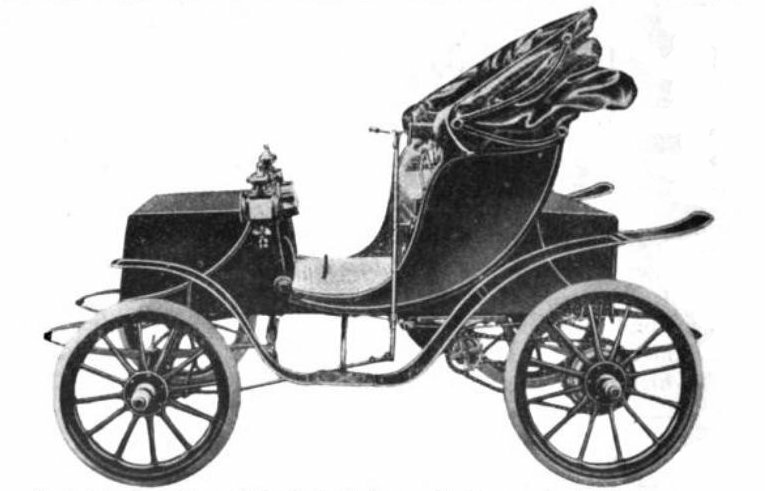 It wasn’t until the 1890s that the first successful electric car was made in the US. The electric vehicle could hold up to six passengers and could reach a whopping 14 miles per hour. 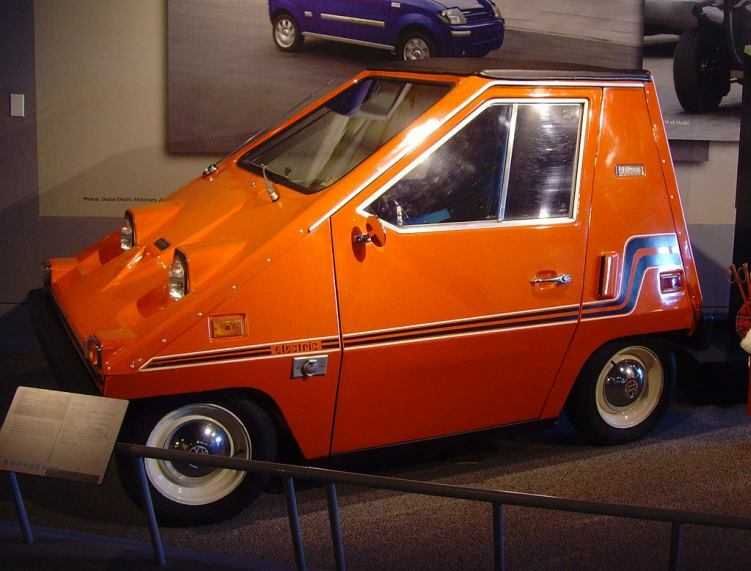 This helped spark interest in electric cars, and automakers started building their own versions around the nation. Due to this sudden inspiration, electric cars reached peak popularity by 1900 and made up a majority of all vehicles on the road. In fact, electric cars were the preferred vehicles. Gasoline cars required a lot of effort to drive, from changing gears to starting the engine with a gruesome hand crank, as well as the strong and unpleasant exhaust fumes. However, improvements were made to the gasoline-powered car that caused the electric car to lose some momentum. The hand crank was soon replaced with an electric starter and gasoline-powered vehicles were becoming more affordable. Soon, gasoline cars started to look like a better option for Americans itching to go out and explore the nation’s growing and improved road system. By 1935, electric cars practically disappeared. It wasn’t until the 1970s when a gas shortage hit, causing gas prices to soar, that electric cars entered back into the marketplace, but gasoline-powered cars still reigned due to better performance and reliability. Once the 1990s hit, electric cars made became more popular as environmental concerns became a primary concern. By the peak of the 21st century, the technology of electric cars looked more promising than ever with the release of the Toyota Prius, the first majorly manufactured electric vehicle. Today, electric vehicles are on the rise and will continue to advance as more Americans demand a more efficient and eco-friendly vehicle. There are many benefits to owning an electric vehicle, and with technology continuously advancing, there will only continue to be more. 1. They are cheaper to operate and maintain. One of the best things about owning an electric vehicle is all the money you save. An average American burns around 525 gallons of fuel a year– that sounds expensive. One of the obvious benefits is the elimination of the need to ever gas up, meaning your gas money can go towards something else. And while the price of gas is always uncertain, an EV offers a more stable maintenance cost as they do not require gas, oil changes and other maintenance costs of a gasoline-powered car, just the occasional tire rotation and air check. Plus, all the cost of electric vehicles and their maintenance is expected to drop over the next five years as the technology improves. 2. Ride in (quieter) style. Since electric vehicles run off the pure power of electricity, they are zippier and provide a smoother ride without the roar of an engine, meaning you get some peace and quiet on your commute. One ride in an EV and you’ll never want to return to your clunky, gas-guzzling car. 3. They’re good for the environment. Obviously, this is one of the main reasons why anyone would want to drive an electric vehicle. Electric vehicles can drastically decrease the amount of emissions that contribute to global warming and pollution. Electric vehicles can not only help combat global warming, but also help improve overall public health. 4. You can charge at home. Imagine refueling your car in the comfort of your own home. That’s possible with an electric vehicle. It’s easy to install a charging station in your home– plus, many states offer incentives, like tax breaks, if you get a charging station in your home. 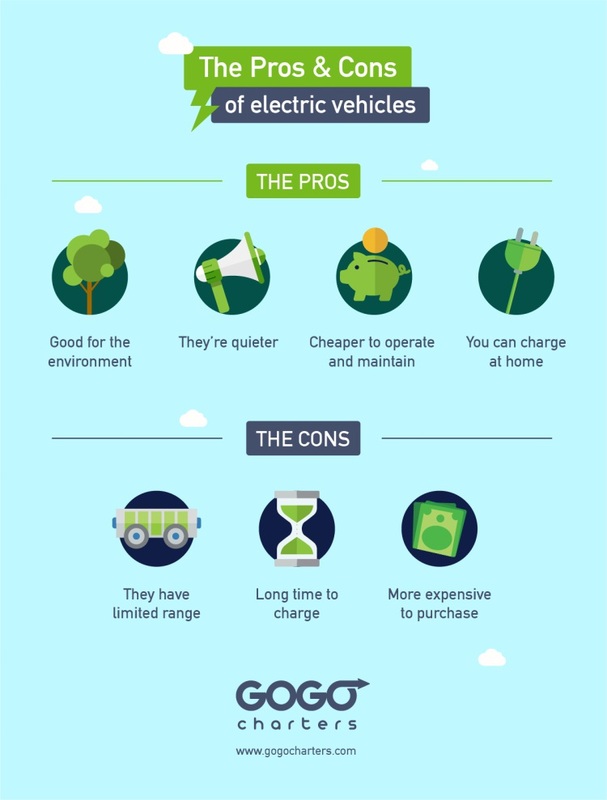 While there are many benefits of electric vehicles, there are a few cons that prevent consumers from choosing an EV over a gasoline-powered car. 1. They have limited range. For now, at least. Range anxiety is understandably a huge factor for many consumers with the more affordable models only reaching about 80 to 100 miles per charge. This is an easy disadvantage to work around if a driver plans their trip accordingly and ensures they know where charging stations are located. Luckily, EVs are improving every year and before we know it, range anxiety will be a thing of the past. 2. It can take a while to charge them. It’s not as simple as stopping by a gas station and filling up in 5-10 minutes. Unfortunately, charging up can take some time depending on the model of the car. With the limited amount of charging stations around the nation too, it can be a little nerve-racking when driving long distances. It’s recommended EV drivers charge up while they’re sleeping and learn where charging stations are. Fortunately, battery technology is constantly advancing and in the works to become more efficient, charge faster, and last longer. 3. They are more expensive to purchase. Cheaper consumer electric vehicles can run around $20k-$30k, more expensive than their gasoline-powered competitors. However, many argue that owning and maintaining an EV makes up for the initial cost in the long-run as maintenance is much cheaper and the vehicles last longer. So if the benefits of electric vehicles outweigh the cons, why don’t you see more driving around? The transition from gas-guzzling vehicles is happening at a much slower pace than you’d think. With higher prices and range anxiety overpowering consumers’ decision process, it’s no wonder it’s been a difficult process. It’s important to realize that large vehicles are a major factor of everyday life, along with cars that consumers drive to work, to school, to the grocery, and much more. But have you thought about what other vehicles you see every day? Garbage trucks, commercial trucks, and most importantly, buses. People depend on bigger vehicles and couldn’t imagine their lives without them. School buses, charter buses, transit buses, and more help transport people and products every day. Bigger vehicles may only make up about 4% of America’s vehicles on the road, but they account for 26% of American fuel use and 29% of vehicle CO2 emissions. On top of that, buses and other heavy vehicles can consume up to 14,000 gallons a year. It makes sense when you consider the size of them. Imagine the difference that could be made if cities just electrified their buses. With buses driving hundreds of miles a day, they easily get worn down and require a lot of maintenance. Luckily, electric buses provide improved reliability, maintenance benefits, and improved quality of the driver’s trip. Just like consumer electric cars, electric buses are efficient, fast, and only use 20% of the raw energy of a diesel bus. Batteries are getting cheaper, and like stated above, they last longer and the maintenance costs are drastically better. While bigger vehicles, such as buses, can be approximately 20% more expensive to purchase, their operating costs are significantly lower, saving money in the long-run. While a diesel bus can only get around 3.9 MPG, an electric bus can reach 21 MPGe, or the miles per gallon equivalent. Plus, it’s easier and cheaper to take care of an electric vehicle that doesn’t require fluids, filters and moving parts like a traditional diesel bus. The total cost to own and operate an electric bus over its lifetime is 35% lower than traditional buses, and with battery and other costs decreasing as well, there’ll be no excuse not to implement electric buses in the next few years. The obvious reason why electric buses are ideal is to help protect the environment. In urban settings specifically, buses are constantly in motion and release a significant amount of emissions. An electric bus can emit 4-6x fewer greenhouse gases than a gasoline-powered bus. Vehicle emissions not only harm the environment, but disproportionately affect people living in inner cities. Internal combustion engines release air a long list of air pollutants by first releasing primary pollutants directly into the atmosphere, and then secondary pollution from those emissions reacting with elements in the atmosphere. More than 150 million people in the U.S. currently live in cities with air quality that doesn’t meet the National Ambient Air Quality Standards (NAAQS). The American Lung Association (AMA) conducted a study showing that gasoline-powered vehicle health costs calculated to around $11.82 per gallon, with climate impacts adding another $6.55 per gallon, equaling to a total of $24 billion in health costs and $13 billion in climate costs. Switching to electric buses alone could dramatically improve air quality, health, and health costs among citizens while equally help combat environmental concerns. The EV landscape is changing at a significant pace. With concerns like global warming, air pollution, public health, and traffic congestion, it’s a prime time for electric vehicles to step up their game. Companies like GreenPower Motor Company Inc. are working to defeat the challenges that electric vehicles face today, especially heavy-duty vehicles like buses, by addressing problems directly in order to truly make a difference in the transportation industry. 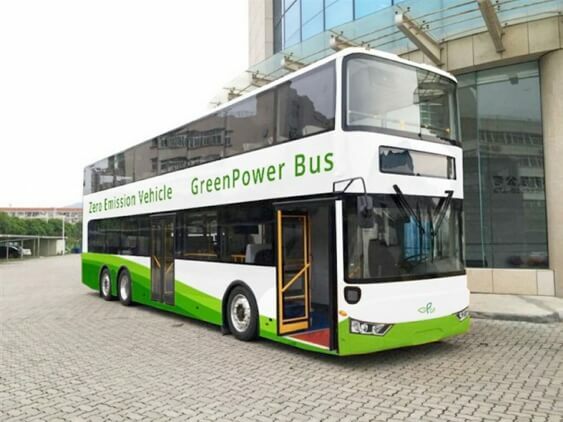 In fact, GreenPower’s EV550 all-electric double-decker bus costs the same as a double-decker diesel bus, and with less upkeep and maintenance costs, the EV is obviously the better choice. GreenPower’s EV550 is the world’s first all-electric double-decker bus, providing passengers a smooth, quiet, and zero-emission ride. “Another challenge that urban planners face is the ability to charge the vehicles properly,” Riley says. Urban planners have to plan accordingly when considering charging methods. Luckily, GreenPower is constantly working on building the right tools and using smaller batteries coupled with in-route charging methods so buses that run 24/7 can make a stop at the end of their route for a quick charging session. This also helps cities adapt to electric buses, as planners in bigger cities don’t have to worry about building charging stations, but can rather implement quick charging spots in an already established bus route. “We use lithium-ion batteries for heavy-duty vehicles so they are capable of more range and faster charging, which is crucial for city transit,” Riley explains. GreenPower’s new EV550 double-decker bus in an example of the ever-changing battery technology; it’s able to drive an impressive 250 miles on just one single charge thanks to its lithium-ion battery. The GreenPower EV550 double-decker bus can carry up to 130 passengers and travel 250 miles on just one charge. Image via GreenPower Motor Company Inc.
“Urban planners also have to consider the weight of the vehicle. When you’re planning routes, you want to make sure the vehicle isn’t too heavy and won’t damage the roads,” says Riley. Electric buses can end up being 10-15% heavier than diesel buses. That’s why GreenPower is working on making models lighter and allocating their space effectively. “Our buses are designed from day one as electric vehicles,” says Riley. “Instead of taking existing bus designs and fitting everything in them, we draw the battery and electric motor first, and then build the bus around that.” The EV550 double-decker bus can carry a total of 130 passengers– 100 seated comfortable and 30 standees. By designing a vehicle that is meant to be an electric bus, all space can be accounted for, and as battery sizes continue to decrease, electric buses will have even more room and weigh less. People know that EVs are the future, and it’s only a matter of time before they make up a majority of the vehicles on the road. With customer perceptions changing and companies like GreenPower introducing more products and platforms than any other EV company, electric buses have the potential to make a dramatic difference. In fact, it’s expected that one-third of new transit buses will be electric by 2020, with hopes that half will be electric by 2025, and then 100% of fleet purchases to be all-electric by 2030. You don’t have to be a futurist to say this is the future. It’s happening right before our eyes, and it’s up to us be a part of the rEVolution. GOGO Charters is a charter bus rental service that operates in over 300 cities across the United States. With access to a variety of buses combined with superior customer service, we’ve got everything you need to schedule your next big trip. We can accommodate groups of all shapes and sizes, making us perfect for weddings, corporate events, sports teams, church trips, vacations, and more. Have any transportation questions you need answered? Call us 24/7 at 1-855-826-6770. We’re happy to help.